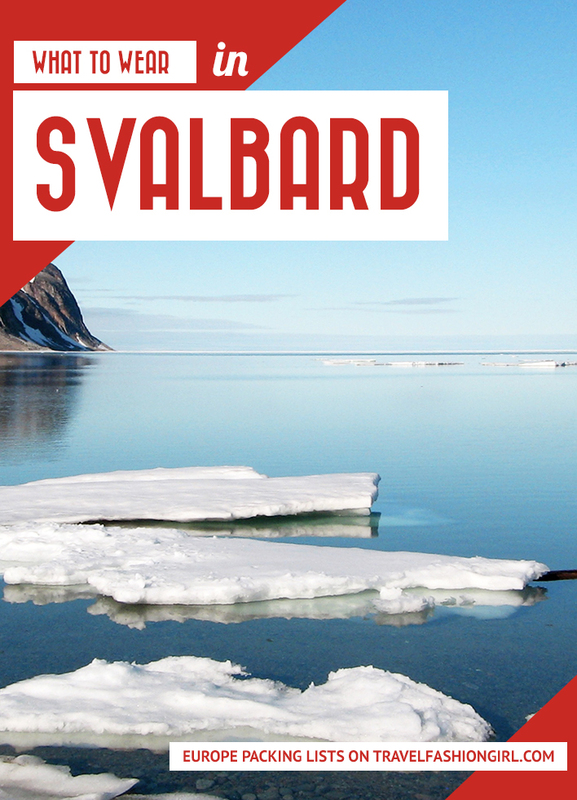 Svalbard is a small archipelago halfway between Norway and the North Pole. If you’re heading to this amazing location, follow or tips on what to wear in Svalbard! You’re heading to the Arctic Circle and you’re concerned about what you should and shouldn’t be bringing. Should you pack all your winter clothes and layer up? Which fabrics are going to keep you warm? 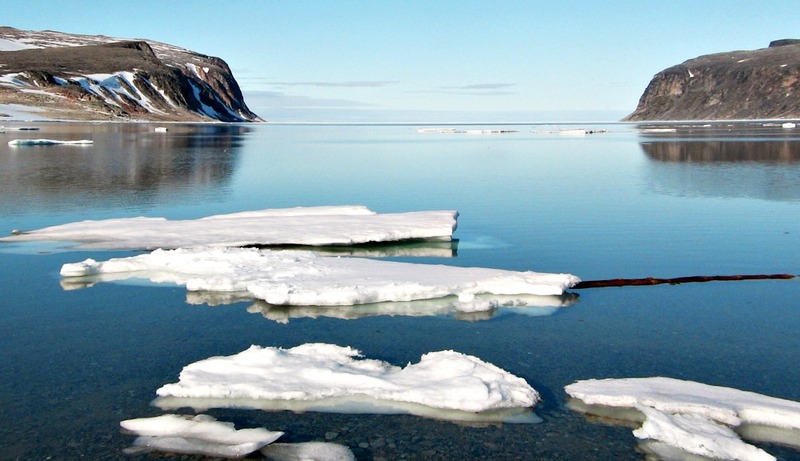 Svalbard is just 600 miles from the North Pole, so it’s quite cold, as you may expect! To keep dry and warm, ideally you’ll want to wear a few layers of breathable thermals with waterproofs on top. Keep in mind that if you’re doing activity tours, most companies will provide ski suits, rubber boots, headgear, and more as part of the package. So don’t worry about packing clothes for snowmobiling or dog sledding–this guide is intended for basic wandering around Longyearbyen and other parts of the archipelago. Going away for a week to enjoy the slopes and soak up some mountain sunshine? 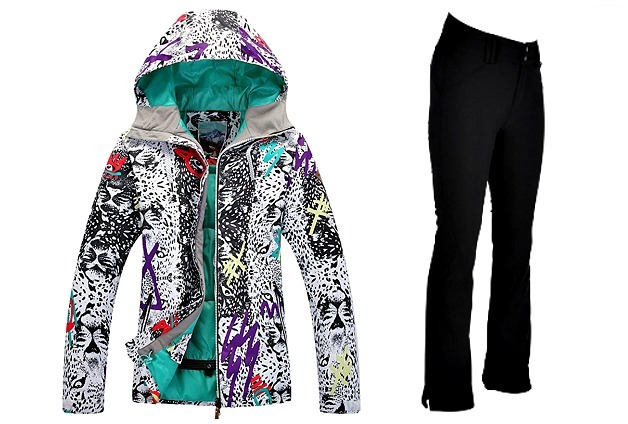 Read about these ski essentials! Let’s start off with a suitable base layer that will keep you both warm and dry. This is your first considering for what to wear in Svalbard. Avoid cotton. It will retain moisture and you’ll end up getting a chill. Instead, look to thermals made out of fabrics like merino wool (for the best quality) or synthetic polyester. I prefer merino wool, as I like my clothes to be long-lasting. 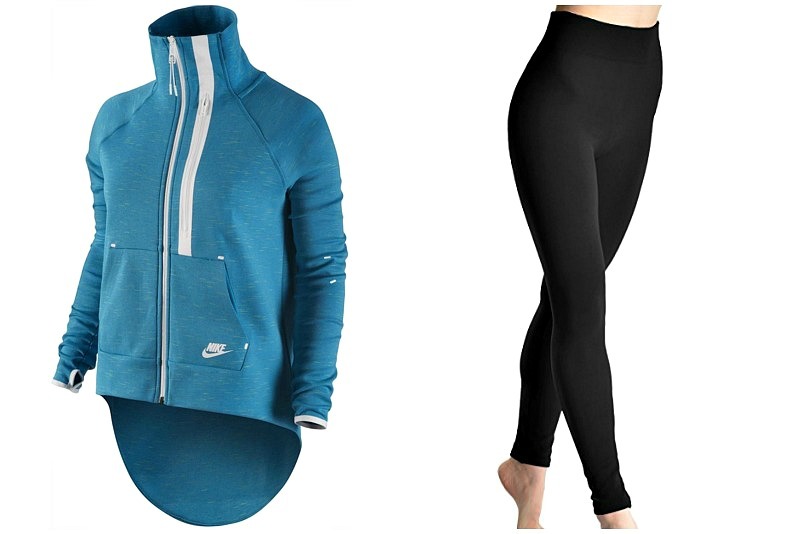 Discover our top 10 brands for the best thermal underwear for women! Merino wool is warm and quick-drying, which is of paramount importance in cold conditions. You can also wear merino thermals more than once without washing, as they don’t retain odor. This is great, depending on how long you’re traveling, as you can get away with rotating a couple pairs. Finish off your base layer with a pair of socks. Once again, merino wool is the ideal fabric for what to wear in Svalbard. Under my boots, I wore a thin pair of socks with a pair of thick, wool socks on top. If it’s your first time skiing, you may want to rent ski gear. If you’re bringing your own, read these tips on what to bring on a ski trip. From there, pop on a fleece jacket and pants if the weather outside is particularly cold. Take a look at our roundup of the best-looking fleece clothing! After you’ve layered up your thermal base, it’s time to put on your waterproofs. Start with a pair of ski trousers and a waterproof jacket that will protect you from both water and wind. I got away with just wearing thermal leggings in October when I visited (three pairs! ), but I doubt you could do the same in the dead of winter. If you’re brave, bring a short-sleeved shirt. I wore a long-sleeved thermal shirt underneath a normal tee. Most places in Svalbard turn up their heating, so it can be a bit assaulting on the senses to move from outside to inside–I’d find myself quickly stripping off layers! Read to find out how to choose the best and warmest long underwear for women! Along with your base layer, your accessories are what will keep you warm, and should be one of your main considerations when choosing what to wear in Svalbard. I recommending bringing two pairs of gloves: one wool and a fleece pair you can wear on top. I had ski gloves and while they did keep me warm, I was forever taking them off to snap photos of the gorgeous countryside! Accessories can be both practical and stylish and we’re going to show you how with these fashionable winter accessories for women! 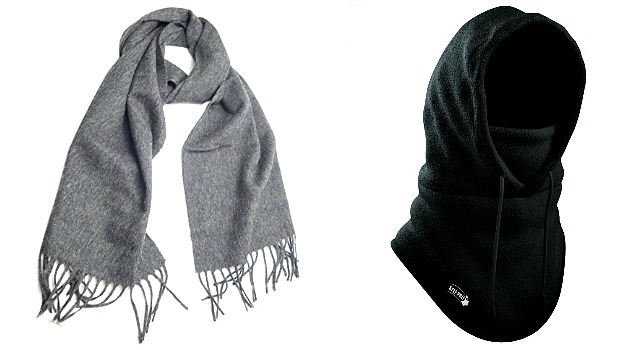 Lastly, pop on a long, woolen scarf that you can wrap around your face, or go a step further and bring a balaclava. Make sure you can pull it up over your mouth and nose when you’re in need of a little extra protection. These tips on how to stay warm in cold weather are a must-read! You’ll definitely want a pair of snow goggles and sunglasses to fend off the bright sun. Don’t forget your sunglasses when you’re not skiing. Here’s why we recommend polarized sunglasses! 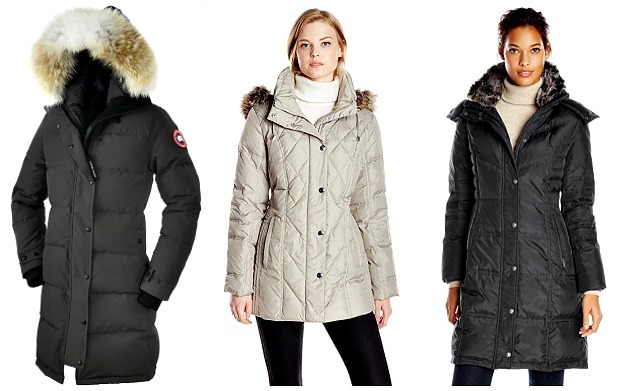 If you’re visiting many winter destinations, you’ll be in want of a quality goose down or quilted coat. I borrowed a coat from a friend for my trip, but have to admit that I have my eye on a coat like this as a key item for what to wear in Svalbard. It will keep you warm and dry, and the length is suitable for arctic conditions. Need a coat? Here are the best down jackets to wear over your fleece layers! The time of year will be dependent on what type of shoes you take with you and add to your list of what to wear in Svalbard. I made do with my faux-fur lined Timberlands (worn with two pairs of socks), but if I were going in colder months, I’d probably invest in a pair of moon or arctic boots. Waterproof shoes with a good grip are essential. There’s a saying in Longyearbyen, Svalbard’s capital, which goes, “Leave your shoes and gun at the door.” Many establishments ask that you do indeed take off your shoes before entering their premises. Some offer slippers and others leave you to plod around in your socks. It wouldn’t hurt to pack a pair of light slippers that you can pop on in these instances. Find out our top picks for the best waterproof boots. You’re guaranteed to find a style for every trip! 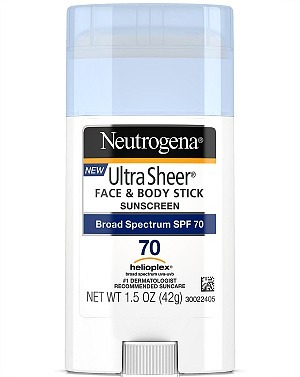 Regardless of when you’re visiting, don’t forget to slip, slop, and slap on sunscreen. This might seem counter-intuitive in a winter wonderland, but that Arctic sun can be mighty harsh. Here’s a list of our top 10 essential travel beauty products to bring with you on a trip! What are your tips on what to wear in Svalbard? Please share your comment below! I hope you liked this post on what to wear in Svalbard. Please share with your friends on Facebook, Twitter, and Pinterest. Thanks for reading! 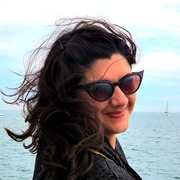 Author Bio: LC has lived in Australia, Qatar, and the UK. Her interests include long road trips, bonfires, beach-bumming, horse-riding, bird watching, and dog cuddling. You can follow her adventures on her blog or in real-time on Facebook.